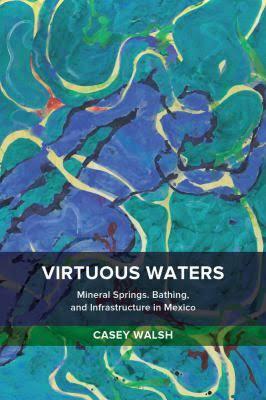 Virtuous Waters is the first study of mineral waters and bathing in Mexico. It traces the history of ideas about the nature and value of these waters, as they have evolved alongside quotidian engagements with mineral waters such as bathing, from European contact to the present. While water systems steadily expanded in scale and complexity and science developed increasingly precise understandings of water and its contents, the importance of mineral waters for drinking and bathing today shows that ancient understandings of the diversity, specificity and agency of waters have endured and even strengthened. Drawing on ideas from anthropology and political ecology, the author explores a series of tensions that characterize our water cultures: between the heterogeneity and homogeneity of waters; between the idea of water as inert and water as agential; between the uses practiced by different social groups; between the commons and the commodity. The book shows that these dynamics of water cultures are best understood through a careful analysis of archival evidence across the centuries, and suggests that this historical, anthropological understanding might also help us comprehend and confront the crisis of scarcity and contamination that we confront in the twenty first century.